Imagine your whole body in a narrow conduit. No, I’m not asking you to visualize your own birth. You are lying on your back in that empty conduit and sixty feet from where you lie is your exit. The conduit is so narrow that you cannot extend your arms to the sides and can barely lift your head straight or bend your knees. Do you have the skill set to move effectively and efficiently enough to save your own life? Or would you wriggle around like a fish out of water, barely making progress and gasping for air? Now, you’re home sitting on a rug. Can you stand up easily, gracefully, and very quickly if you had to, without using your hands to push off the floor? Could you do the same while holding a young child in your arms? This is a casual situation, yet are you “fit” enough to perform these basic tasks effortlessly? These example situations demand ground movement, which is so much more than just “mobility drills” or any one movement pattern – and today I’m going to teach you all about it. We take these movements for granted, only to realize how much trouble they give us when we really pay attention to our ability to perform a wide variety of such ground movements not just effectively, but efficiently. The awesome thing is you don’t need to be James Bond to perform at a high level in a wide variety of life situations; from every day to more adventurous (or life-threatening) tasks. You just need to understand its greater practical importance and how to build your skill set through consistent practice. First of all, why practice ground movement if your immediate goal is building a more functional strength and/or more mobile joints? Ground movement beautifully illustrates the different between training for practical capability instead of training solely for “functional fitness” or joint mobility. When you train for function or mobility, you tend to do random, often isolated movements that display your ability to move your joints through space – but that doesn’t necessarily mean you can perform practical movements because movement is more than just joint mobility (more on that later). When you train practical movements that are innate to all human beings, your joints automatically are stimulated to move through their natural ranges of motion. These aren’t “tricks” suited only for the entertainer or person afflicted with hypermobility. Ground movement is for everyone and its and easy way to make incremental progress because the positions are simple and accessible. In other words, practical movement implies developing functional strength and mobile joints in a safe practice. It’s the natural solution for functional fitness and joint health. Let me get more specific. Are you familiar with the “Turkish get-up?” Good! Now, is it the only get-up technique you are familiar with? Not so good. “Getting up” encompasses so much more than one sequence: using one or both hands for support, or no hands, and transitioning through a sit, a kneel, a squat etc. Knowing many, if not all of the practical movement options available on the ground is always better than being a “one trick pony” because real life demands variety. Further, true movement ability or “intelligence” requires not just variety, but also adaptability…the goal is to be able to perform a wide variety of ground movements in a wide variety of environments and situations. 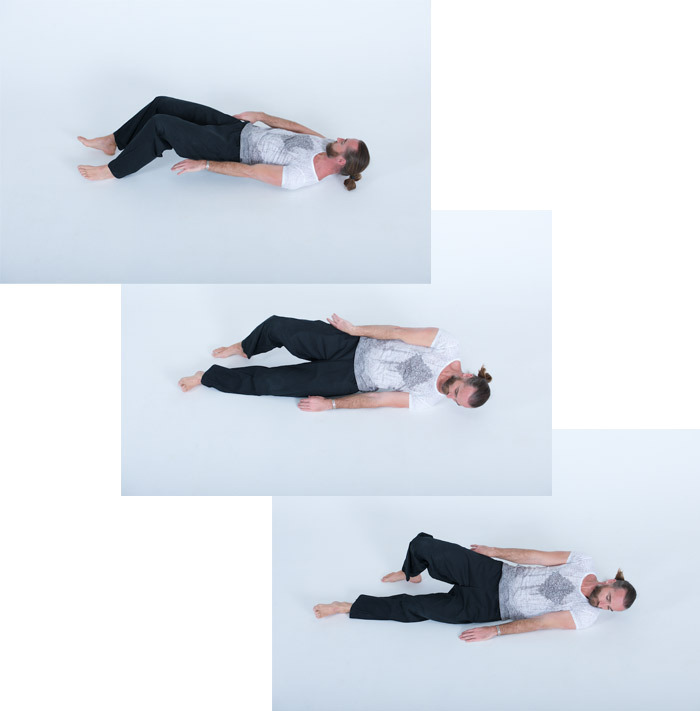 Last year, we released a video series called “From the Ground Up.” We started with ground movements because these movements can be performed very slowly and at low-intensity, making them the perfect vehicle for teaching – and learning – MovNat’s model of the “formation of technique”, which involves position and breathing, sequence and timing, tension and relaxation. Technique is about developing efficiency, and every movement technique is made of a sequence of positions following a particular timing, requiring breath control, as well as a particular balance of muscular tension and relaxation. To illustrate this concept, let’s go back to our example situations. So, you are stuck – or seemingly so – in that conduit, remember? It’s so narrow that you can’t pull from anything, you can barely bend your legs and arms, preventing you from pushing off the surface that confines you. But it’s not narrow enough to prevent you from using the “shoulder crawl.” It is a contralateral movement pattern where you lean sideways to shift weight towards one shoulder while slightly bending the opposite leg. This is the basic position. The great thing is that you need very little knee bend and therefore a very short space above your knee to be able to push off the foot, just enough so you can roll onto the supporting shoulder. This is the basic sequence and timing. You need enough tension in the core and leg to reach full leg and shoulder extension, the rest of your body should stay relaxed while you maintain abdominal breathing. With these principles, your escape should be effortless and time efficient. Now, let’s go back to getting up from a seated position while picking up your toddler. While you have several options indeed, let’s pick the “Narrow Base squat get up”, which is done without hand support. From sitting, the sequence of positions requires the following timing: bend both legs in front of you then pull your heels as close to your rear as possible. Optionally you shift bodyweight from one buttock to the other to slide your rear towards your heels. Then you will open your legs enough for your torso to swiftly lean forward in between them, which creates some forward momentum but also starts shifting your center of gravity closer towards a vertical line with your next base of support which is your feet. Next, you want to flex your ankles to help firmly press your heels down, ensuring enough friction at the heels so you can pull from them by contracting your hamstrings and abdominal muscles. This is the time and area where the most important aspect of tension occurs in this movement, pulling yourself forward and up through your feet and legs. The rest of the body should stay relaxed. Are you in a narrow base deep squat yet ready to stand up? It should be that easy and that fast! In fact, by holding a young child in front of you, you are combining your own center of gravity with her center of gravity, shifting such combined center of gravity straight above or slightly beyond a vertical line with your feet and making it MUCH easier to ensure the transition from sit to squat, removing the need for rocking on your back when you lack technique or mobility. In both these situations, efficient technique is crucial. The former because your life depends on it; the latter because your joint health depends on it. Likewise, inefficient technique often leads to avoidance of movement out of fear of discomfort or injury – which can easily become a viscous cycle of deconditioning and missing out on life…because movement IS life. Imagine trying to learn how to perform and explosive movement like a forward jump if you don’t have the mobility to hip hinge properly or the control to keep your feet and knees in optimal positioning. Not only will the jump be ineffective for long distances, but will jeopardize the integrity of your joints. Image trying to climb or vault if your shoulders lack the stability to bear weight efficiently. Even those pursuing more “artistic” movements such as handstands can greatly benefit from ground movement. And the list goes on and on. For these reasons, MovNat positions ground movement a the foundation of all movement practices. Ready to get started practicing? That’s beyond the scope of a single article, and ideally requires a more engaging learning environment. So be sure to attend a workshop or certification and follow MovNat on facebook and Instagram to get familiar with the practice.